Year after year, the holidays give us the excuse we've been waiting for to pile on tons of sparkling jewelry. Just in time to start designing those special occasion pieces, once again, Fire Mountain Gems and Beads brings you the hot trends for the 2010 holiday season. 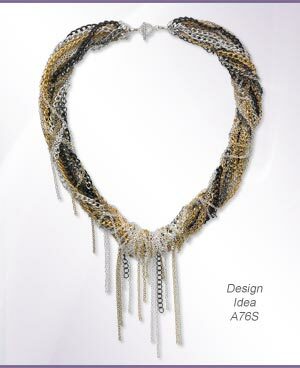 This year's interpretation of holiday jewelry ranges from classic and elegant to sultry and edgy. One trend that continues to stand the test of time is traditionally elegant styles. 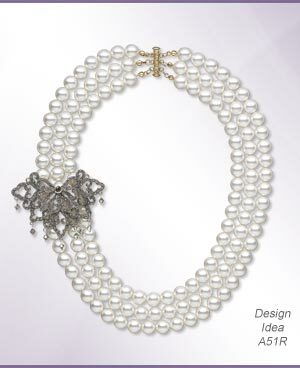 Pearls and rhinestones with an antique feel give an heirloom look to jewelry styles. 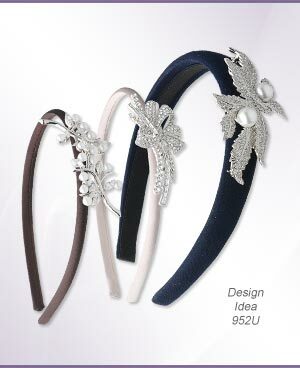 Update the look with satin or velvet ribbon, or even lace embellishments. The vintage feel of this ladylike jewelry captures the nostalgia of holiday times past. Another hot trend this year brings a dark and mysterious element to jewelry. 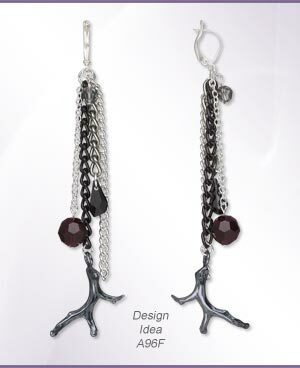 Messy chain, gunmetal components and objects with a slightly macabre feel are all popular choices. Talons, daggers, black lace and velvet give an air of Edgar Allan Poe-like intrigue to holiday designs. 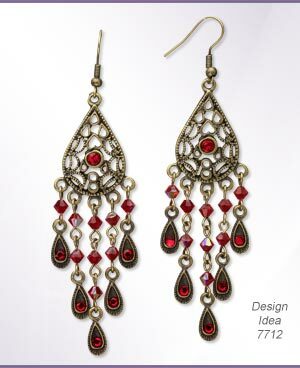 This trend works well with marcasite, black onyx, antiqued metals and blood red garnet. A holiday party is a great excuse to layer fabulous oversized sparkling jewelry. Give special occasions a festive feeling with rhinestone brooches, shoulder duster earrings, cocktail rings and sparkly cuff bracelets, glinting in the twinkly lights of the holidays. Think crystal and cubic zirconia in jewel tones and sequin and crystal sew on embellishments for affordable elegance in eye-catching designs.